As Mothers Day falls on a Sunday, it offers churches the opportunity to honour all the women in the church. However, we need to be mindful that motherhood is a difficult and delicate journey, and for some, this day can bring reminders of pain, hurt, emptiness, and grief - whether for new mums, old mums, single parents, grieving families, and those without children. This does not mean we shouldn't celebrate the wonderful mothers in our midst, but provides us with a day to bless of all the women in our church family. To those who have aborted children – we remember them and you on this day. To those who are single and long to be married and mothering your own children – we mourn that life has not turned out the way you longed for it to be. To those who step-parent – we walk with you on these complex paths. To those who envisioned lavishing love on grandchildren -yet that dream is not to be, we grieve with you. And to those who are pregnant with new life, both expected and surprising – we anticipate with you. Mother's Day can be a tough day for many. We love this little video from Home for Good​, which is perfect for a Mother's Day service that addresses the whole range of positive and negative feelings that exist. Stick a circle of contact paper on the front of the plate, covering the hole. 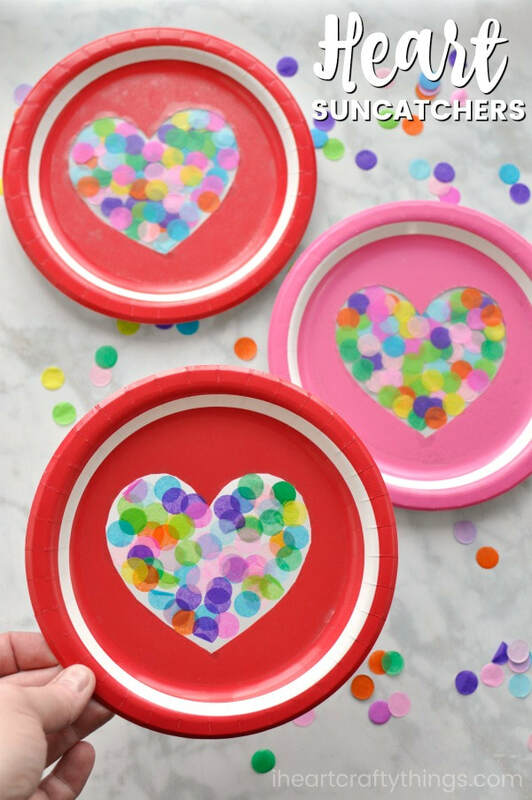 Turn over the plate and decorate the shape with tissue paper confetti, which can be made by hole punching tissue paper. You could always use sprinkles or sequins too. Cover with another layer of contact paper on the back to seal. On the front of the completed confetti sun-catchers, help children write messages to their parents, such as "I love you. Happy Mother's Day!" Glue just the palm of the hand to the lower left part of the background paper -- DO NOT glue the fingers down. Using green paint, crayon, or felts draw the stems of the flowers. Start each stem on the hand, and have it go towards the centre of the paper (make sure to leave room for the flowers). Roll the fingers of the paper hand over the palm and the stems of the flowers, and glue the fingertips onto the palm (this will make the hand look as though it is holding the bouquet of flowers). Draw flowers and leaves on the stems - or glue on flowers made from colourful paper. Choose a magazine page or a piece of wrapping paper to use. You have to start with a square piece of paper. Cut wedges from your paper. The wedges should be about 2-3 centimetres at the widest point and very narrow at the tip. You can use the ruler and pen or pencil to measure and mark out the wedges. The widest part will be the width of your bead. Make sure the side that you like is face down. Paint the glue lightly on the entire back side of the paper except for the first two centimetres. You don't want it sticking to the toothpick. Or you can use a glue stick. Once you have done this take your toothpick and roll the paper around the toothpick until you reach the end of the paper. Smooth the point down, too! Gently twist the toothpick and remove or slide the bead to the tip of the toothpick and set it aside by sticking the toothpick in a piece of Styrofoam to dry. When the beads are dry paint with varnish or cover with clear nail polish. Now the beads are ready for stringing. 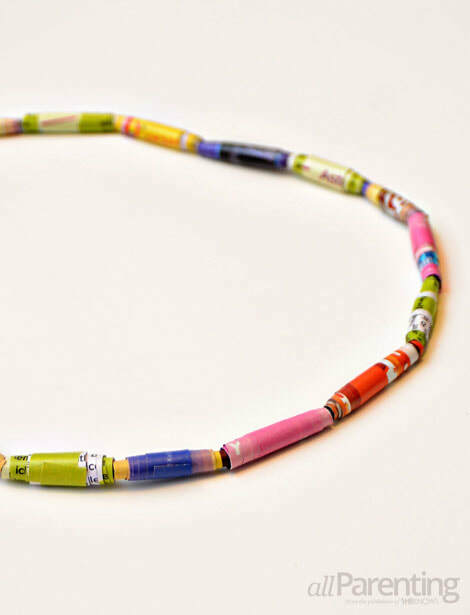 Make beautiful jewellery or use the beads to cover plant pots or jars.